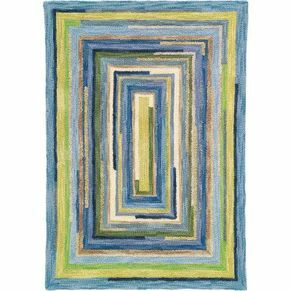 Wide strips of merino wool are tufted and hooked in a faithful reproduction of an antique hooked rug. 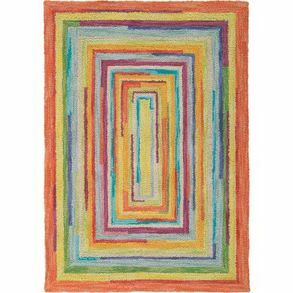 Thick textures and bright colors make this rug plush and cheerful. 100% wool, hooked and tufted.